Bring the wrestling action to your coffee table! Recreate WWE Raw and Smackdown! 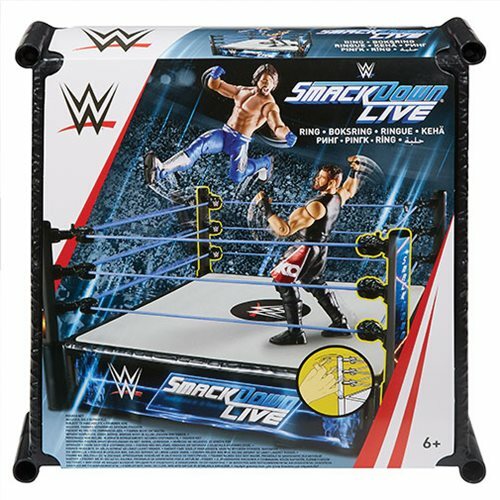 Your figures can bounce off the ropes just like the WWE superstars do! Rings feature spring-loaded mats, turnbuckles, and authentic logos. You decide who becomes champion! Kids and collectors alike will love the authenticity of the WWE Superstar Wrestling Rings. 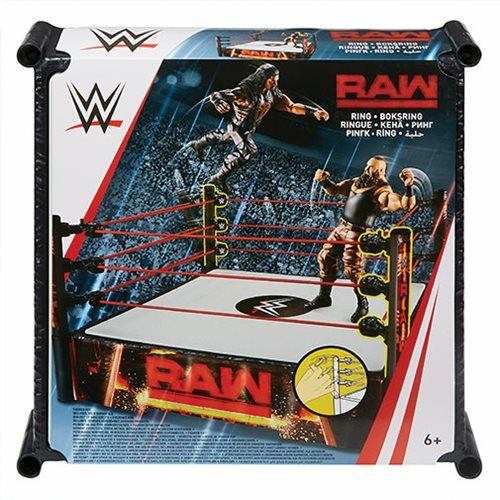 Each ring is made with ProTension technology so your WWE action figures can bounce off the ropes just like the WWE superstars do! Get ready to leap into high-flying, body-slamming action with spring-loaded mats, turnbuckles, and authentic logos. You decide who becomes champion with the WWE Superstar Wrestling Rings! Ages 6 and up. WWE action figures sold separately.